Anna Caterina Antonacci is acknowledged as a major artist, and her extraordinary vocal timbre and acting skills have enabled her to perform a vast and varied repertoire in the world’s most important theatres. She has scored notable personal success as Cassandre in Les Troyens with John Eliot Gardiner at the Théâtre du Châtelet, Incoronazione di Poppea at the Théâtre des Champs-Elysees, the title role in Medea in Toulouse, at the Epidaurus Amphitheatre, at the Teatro Regio, Turin and at the Châtelet. 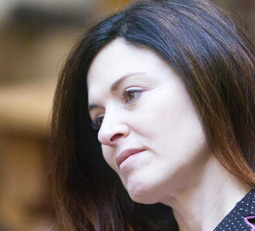 Anna Caterina made her debut in a new production of Carmen at the Royal Opera House, Covent Garden with Antonio Pappano and also at the Opéra Comique conducted by John Eliot Gardiner. She has sung La Mort de Cleopatrewith the Rotterdam PO conducted by Yannick Nézét-Seguin, with the Hong Kong PO conducted by John Nelson and with the LPO conducted by Yannick Nezet-Seguin. 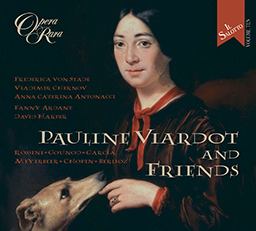 For Opera Rara she appears on the recording Pauline Viardot and Friends(ORR240).